Place a core over the mount board, draw a circle around it with a pencil and cut around the circle. Place one ring on top of the other and place the mount board circle on top, making sure it is central. 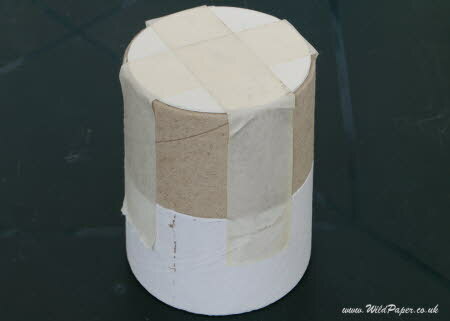 Place masking tape only on the outside of the pencil holder framework to hold it all together. Two long pieces of masking tape making a cross over the board circle are usually enough.